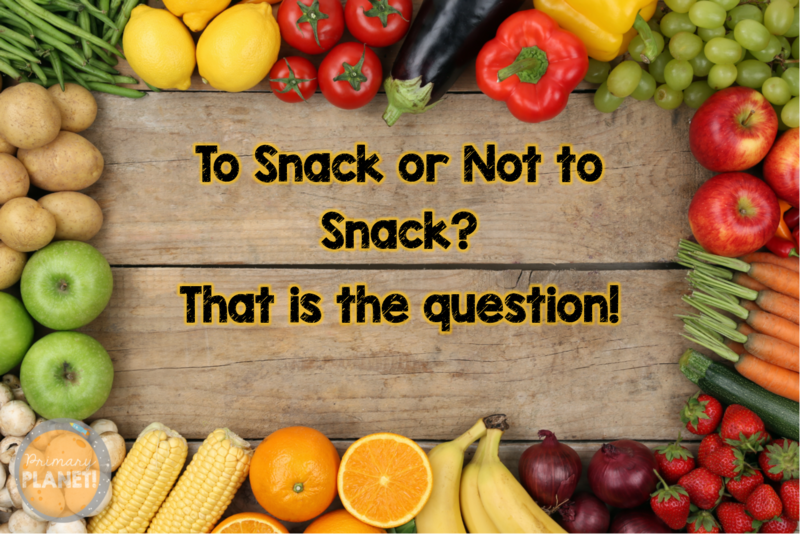 To Snack or Not to Snack? That is the question! | Primary Planet! To Snack or Not to Snack? That is the question! 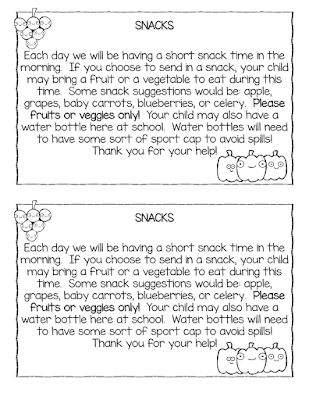 Today I want to share with you my thoughts about Snack in the classroom! Gives the kiddos a break. Keeps blood sugar levels steady. No noise from rumbly tummies while the kiddos are trying to read. I get to snack too! Not everyone brings a snack. Takes time out of your day. That being said, I am a snack fan! We have a snack in my class everyday after Writer's Workshop and before we start our Reading Workshop. This gives the kiddos a break and helps them to ready their brains for the Reading block! We do take a bathroom break during this time. I only allow fruit or vegetables to be brought in for snack. I do allow applesauce and fruit cups if the child brings his/her own spoon and is responsible for any spills! If a kiddo doesn't have a snack, I don't provide one. Snack time is a choice in our building, not everyone does one. I have been doing snack this way for two years and I have not had any problems. I do tell the kiddos that "fruit snacks" do not work because they are full of sugar. 1. Clean everything off of your desk. 2. Use the restroom and wash your hands. 3. Get your snack from your locker and bring it to your desk. 4. Stay at your seat while you are eating. 5. Clean up when you are finished. 6. Use the restroom and wash your hands before we start Reading. You can click on the picture to get your own copy. Great post! I think of how I love to sit in my favorite coffee shop and snack n' work. It seems to have the same appeal for students. This might be the only meal they eat. (Many rush through lunch to play, skip breakfast, etc.) Makes me think and want to start a "Snack n' Work" time. Thank you for the note freebie. Love the clip art!